The redoubtable Michael Shannon leads a superb cast in Ariel Vromen's compelling portrait of New Jersey career criminal Richard Kuklinski. A nagging question looms over the entire endeavor: Do you care? 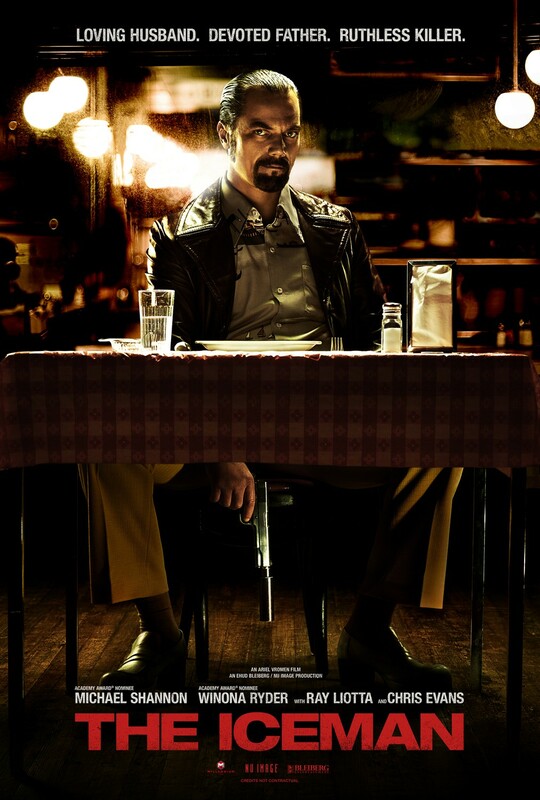 As satisfying as it is on a number of levels, The Iceman's failure to shine enough light on Kuklinski's psyche prevents it from possibly achieving the greatness it aspires to. Lack of originality and insipid screenwriting will soon read as the autopsy of this actively tiresome genre. This is Shannon's movie and underlines his status as arguably the most exciting US screen actor since Pacino and De Niro were in their heyday. The central story is excellent, and Michael Shannon gives a praise-worthy performance. Shannon is ferocious- one of the great criminal portrayals. A drab, remedial gangster film. Michael Shannon embodies Kuklinski down to the bone: there are shades of Paul Muni's Scarface in his lighter moments, although for most of the film he looks as if his face might have been hewn from granite. Unaided by a very literate screenplay, Shannon has to do all his own work. It's a tribute to him that he does it so well. Watchable and well-crafted though this film is, you have to wonder if Vroman's next one is going to be about the lavatorial needs of bears or the religious convictions of the pope.